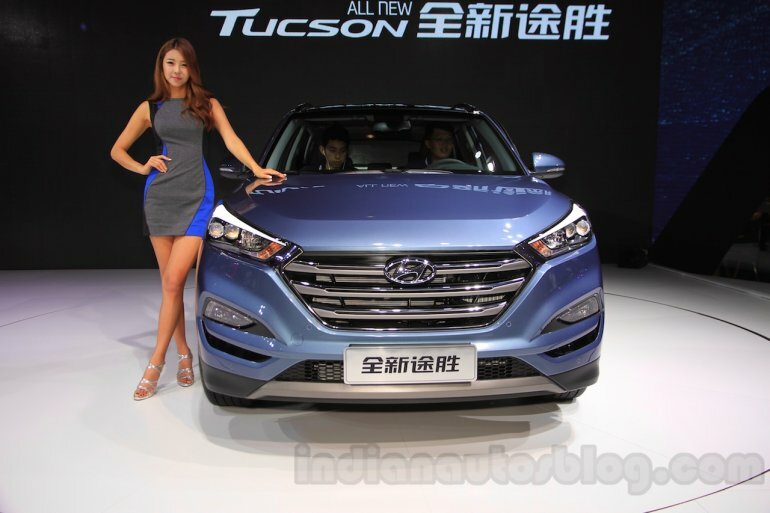 The Tucson is reportedly under consideration for the Indian market. 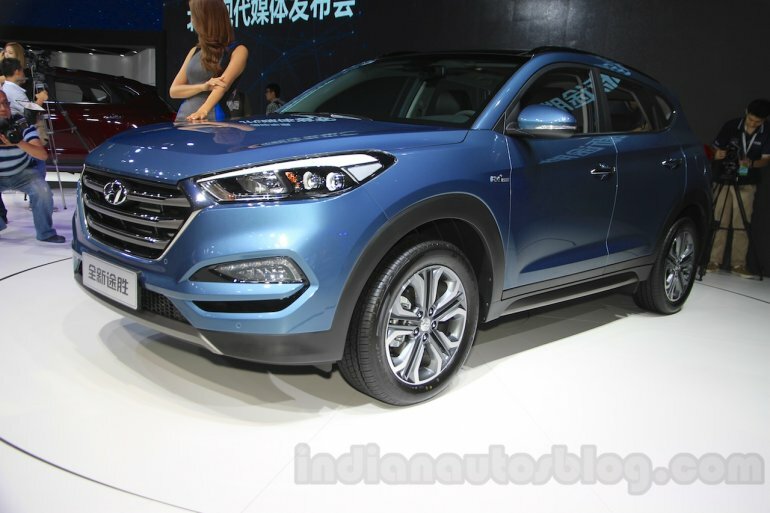 The Chinese-spec 2016 Hyundai Tucson has been showcased at the 2015 Chengdu Motor Show (CDMS 2015), which was previewed as a near-production concept at the Auto Shanghai 2015. It will replace the aging Hyundai ix35 crossover. The Hyundai Tucson follows the company's new Fluidic Sculpture 2.0 design language, with characteristic features like a big hexagonal grille with three horizontal chrome bars, LED twin-projector headlights with LED DRLs, sleek-looking foglamps and a wide radiator grille. The sides get bold wheel arches housing 19-inch alloys, prominent shoulder line, side mirrors with integrated turn indicators and swooping roofline with sleek low-profile roof rails. 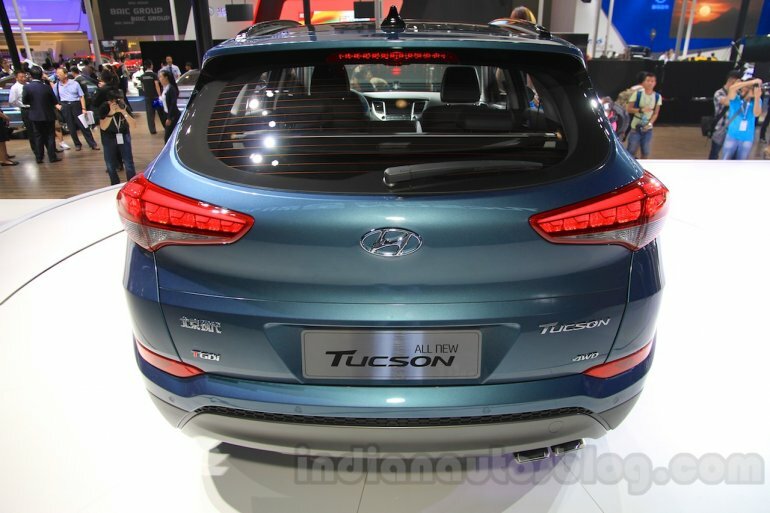 The rear gets elongated LED taillights, tail gate spoiler, low-mounted license-plate holder and twin bevel-cut chrome exhaust tips. On the inside, there is a multi-function steering wheel, 8-inch touchscreen infotainment system, automatic climate control, silver trim accents for the dashboard and steering wheel, push button start, ventilated front seats and a premium sound system with eight speakers. Power comes from a choice between a 2.0-liter naturally aspirated petrol unit or the new 1.6-liter T-GDi is available. The latter option is paired to a 7-speed DCT as standard.